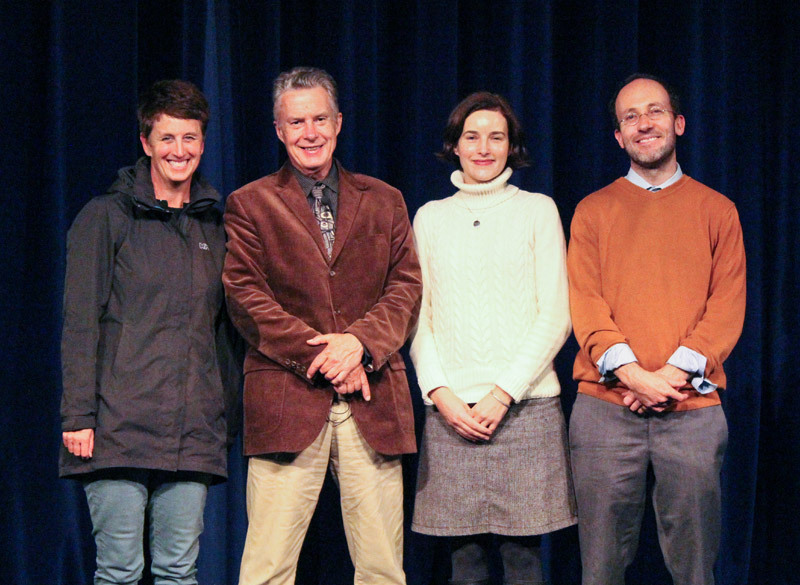 Dr. James Brooks, noted borderlands historian and anthropologist from the University of California, Santa Barbara, visited Prep’s campus recently for a talk with juniors about the history of the US-Mexico border. Brooks contended in his discussion that the history of American Indians is America’s history; that slavery in all its many forms is crucial to understanding the American West; and that transborder migrations, forced or free, are an enduring feature of American borderlands. 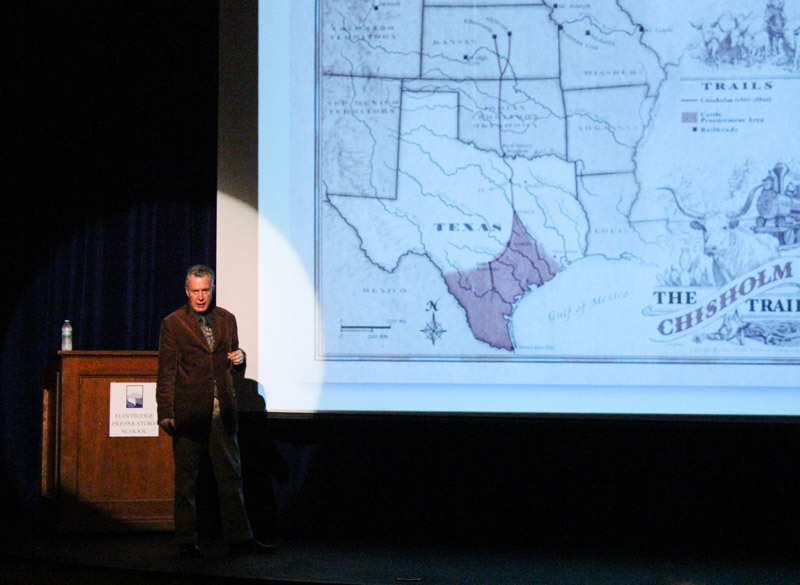 Using primary sources such as personal narratives and period art, he explained that African American slavery in the south was matched by the western slavery of Native Americans as white Americans continued their western expansion in the 1830s and 1840s. By 1860, 20% of the population of Texas was enslaved. Brooks articulated a pattern of transborder raiding by Native Americans into Mexican territory. As Prep History faculty member Dr. Megan Bowman, who invited Brooks to campus, points out, these transborder raiders were knowledgeable about transnational law. “His work helped to define the field of borderlands studies, and I thought his research would give the students a more complex view of Native Americans in the 19th-century Southwest,” she says. In addition to providing a window into the past, Brooks also provided perspective about today’s border struggles. He noted that Santo Nino de Atocha, the patron saint of Mexican captives in the 19th century, is now the patron saint of transborder migrants crossing from Mexico to the United States. The talk provided an excellent introduction to the new course to be taught in the spring semester by Ingrid Herskind called Border Politics: Borders, Fences and Walls. Herskind is also the school’s Global Studies Coordinator.